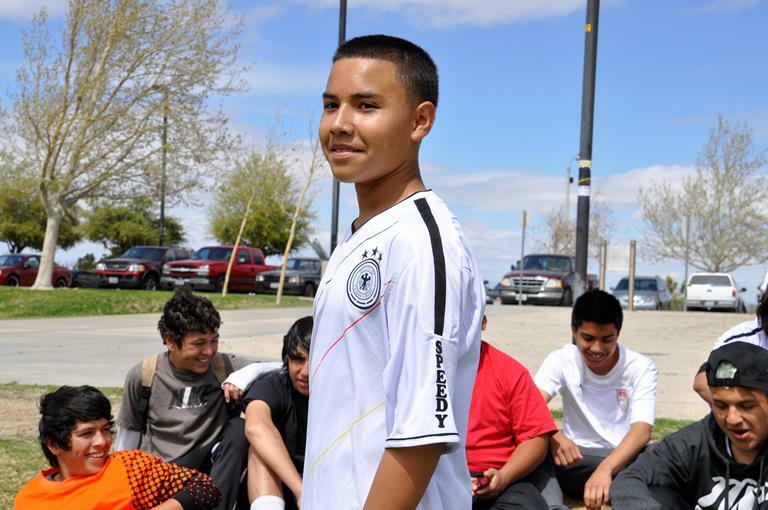 PALMDALE – This past weekend the community came out and dug deep to support the family of Michael “Speedy” Valenzuela, the soccer-playing Knight High School graduate killed in a school bus crash on March 25. 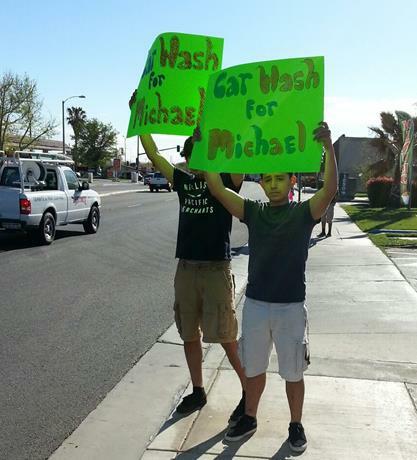 A fundraiser car wash at Sky Burgers on East Palmdale Boulevard drew a huge turnout on Saturday. 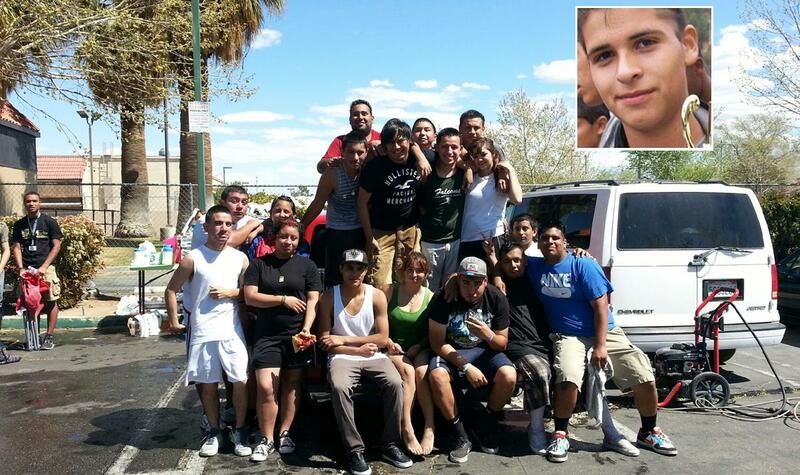 The car wash, which was organized by the Palmdale Youth Soccer League and Agents of Change, raised more than $4,000. 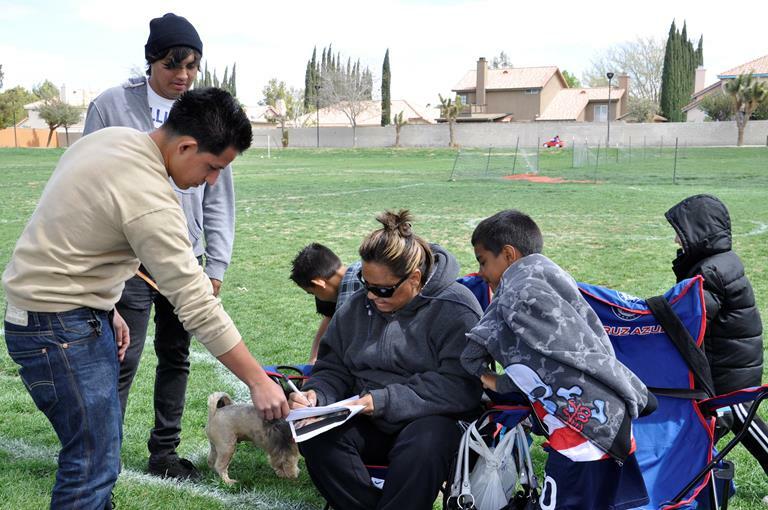 An additional $471 was raised Saturday by the Palmdale Youth Soccer League, and $500 was donated by Valenzuela’s alma mater Knight High School, organizers said. One hundred percent of the proceeds will go to the Valenzuela family to help cover the cost of the funeral. At least five identical petitions are being circulated right now, and the group hopes to present the signatures to the Palmdale City Council at its next scheduled meeting on Wednesday, April 3. There will be an additional fundraiser this coming weekend. The details will be announced as soon as they become available. A supporter signs a petition that was circulated at Domenic Massari Park calling on the city of Palmdale to install a traffic light at the intersection of 55th Street East and Avenue R, where the fatal collision took place. 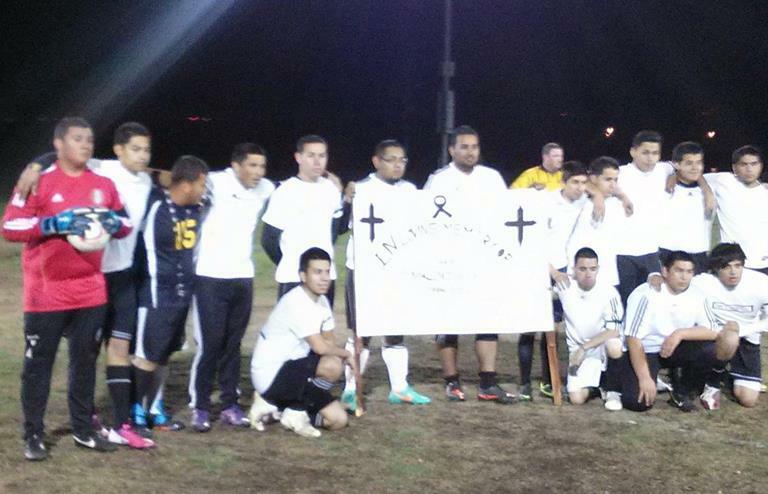 The AV Revolution dedicated their soccer game on Sunday to Valenzuela, who helped coach the team. The team altered their uniforms to put “Speedy” on the sleeves. 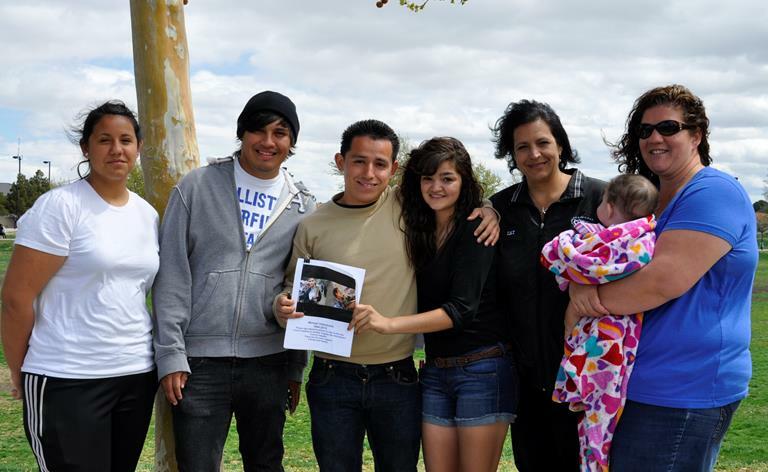 Jackie Perez (far right) and members of the Palmdale Youth Soccer League have led the movement to organize community support for the Valenzuela family. 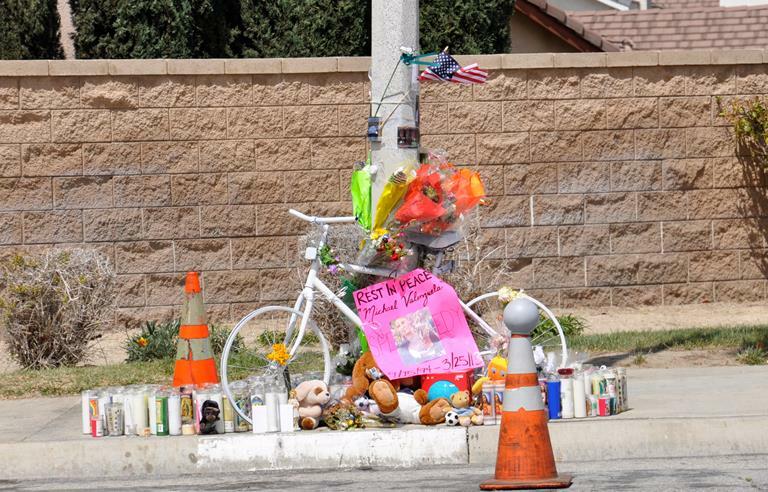 A makeshift memorial, that includes dozens of candles, stuffed animals and flowers, marks the Palmdale intersection where Michael “Speedy” Valenzuela was struck by a school bus on March 25. A white bike showed up at the memorial on Saturday. It’s the exact model that Valenzuela always wanted and had hoped to purchase, his friends said. 5 comments for "Support pouring in for Michael Valenzuela"
Its been three months today and nothing has happened with this promised traffic light, they even said they were planning this out before the accident..
Juan I’m praying for you and your family. God needed another Angel and even though we were not ready for Michael to go. But God needed another Angel with him so he called Michael. Michael may you RIP always remember how many hearts you touched.